Welcome to the Ribbon Earrings class! In this class I've turned long lengths of rectangular wire into two pairs of beautifully textured twistedd and twirled ribbon-like earrings - one pair of long elegant studs and a pair of gently swinging drops. I've used my rolling mill and one of my own laser-engraved texture sheets (detail in the class project) to give the silver a lovely embossed pattern but you could use hammers or a texture punch as an alternative if you don't have access to a rolling mill. This is one of a series of video classes, each one showing you how to quickly and easily make a lovely pair of earrings - sometimes two pairs - as part of my #52earrings challenge. I have challenged myself to design and film tutorials for 52 pairs of earrings in 2017, and I'd love you to join me. 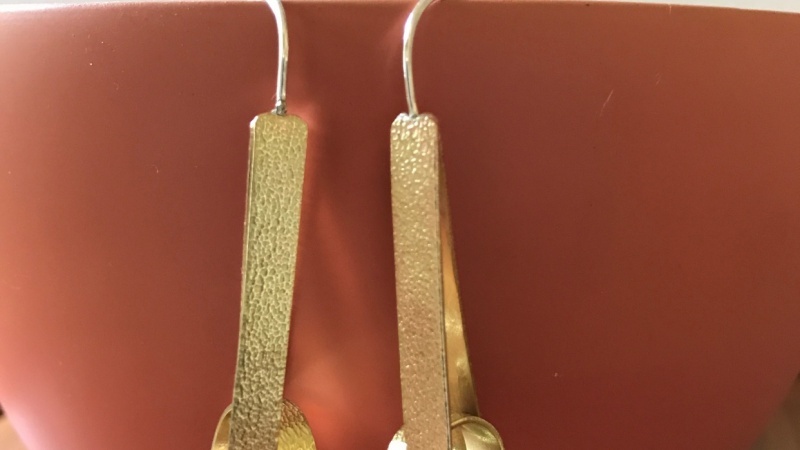 In each video I will show you the materials you will need, explain the tools and equipment and go through all the steps needed to create your own lovely pair of earrings. Along the way I will share with you the same hints and tips that I teach in my jewelry making classes and private tuition so that you become more confident with your techniques and design skills with each class that you watch. This class is an intermediate class as the method I've used for soldering the earwires onto the top earrings is a little fiddly, but I've also discussed an easier method in the video. The equipment needed for the project is explained in the videos and also listed on a downloadable document that covers most of the tools that I will use in future earrings video classes as well so you can plan ahead! All the equipment listed can be used for a variety of other jewellery making projects. Earrings #31 and #32 in the #52earrings challenge. Follow the step-by-step instructions in the videos to make your own beautiful pair of earrings - or two pairs! My earrings started out as long lengths of 4mm by 0. 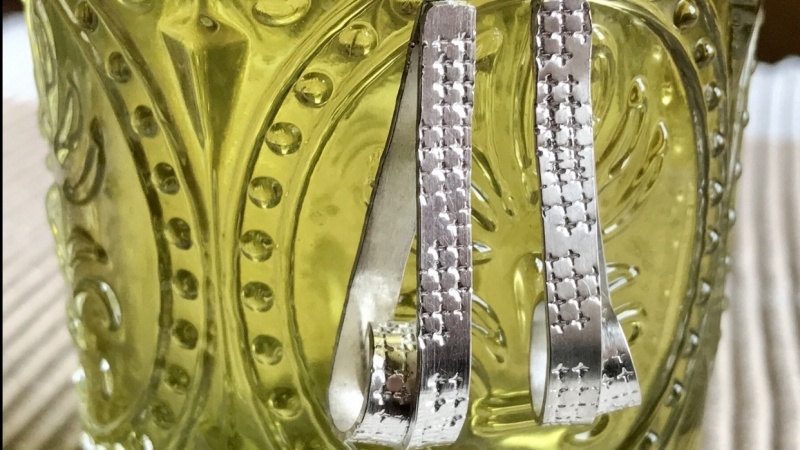 84mm rectangular wire, 13cm for the studs and 11cm for the drops, but you could cut long lengths from sterling silver sheet instead or even flatten out heavy gauge round wire to produce your own rectangular wire.